Japan has a fun and unique drinking culture, in part because it allows the normally reserved, conservative Japanese to let their hair down, take off their ties (and tie them around their heads, if the night is fun enough), and enjoy a gregarious night out. Many restaurants and izakaya build their menus around this drinking culture, offering nomihodai (all you can drink) course menus. But not everyone drinks alcohol--so what do they do? 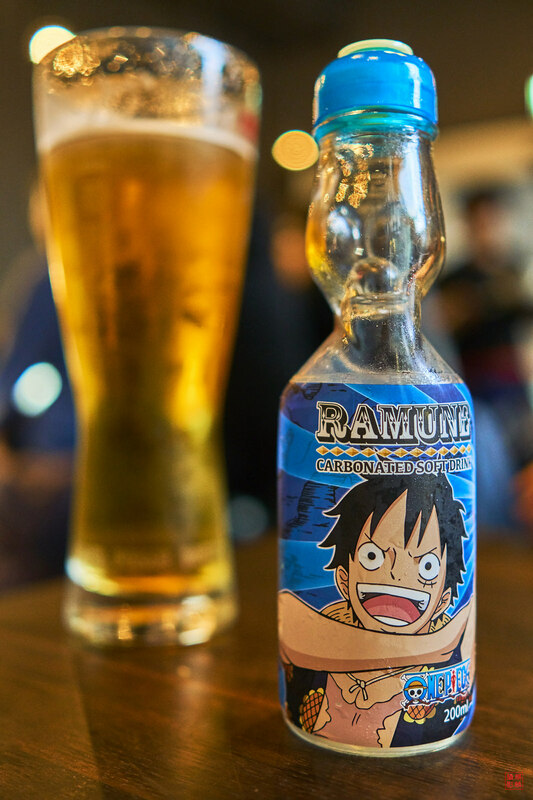 The traditional beverage used to kick off a nomikai (drinking party) is beer, so if you don't drink, your best bet is to go for one of the non-alcoholic beer options. I know what you're thinking: why would I drink something that tastes so awful? I have never been a fan of non-alcoholic beer or "near beer" (low percentage alcohol), but the demand in Japan is so high that the major beer manufacturers have dedicated a lot of resources to crafting non-alcoholic beer that actually tastes pretty decent. 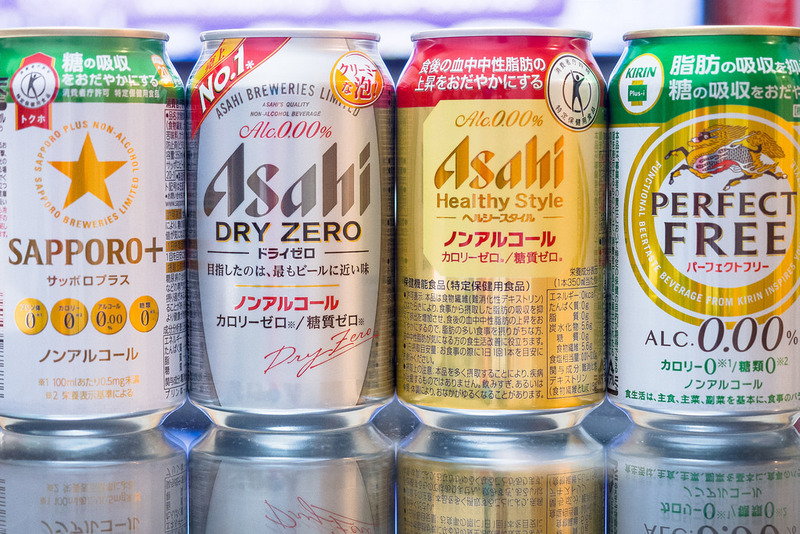 The most popular brands are Sapporo Plus, Kirin Perfect Free, Asahi Dry Zero, etc. (basically anything with "Zero" or "Free" in the name is a safe bet). Non-alcoholic options on Japanese All-you-can-drink menus used to consist of just water and oolong tea back in the day, but as indicated above, that's not the case anymore. Of course, you don't have to relegate yourself just to zero alcohol beer either--many restaurants offer a wide and comprehensive range of non-alcoholic options. My favorites are seasonal juices (normally reserved for cocktails but obviously available for non-alcoholic consumption as well). Japanese soft drinks also make for great options, like Calpis, Mitsuya Cider, or even Ramune (if the place offers it!). I have seen many people uncomfortable at a nomikai because they don't drink--almost as if they felt unwelcome for being the odd man out. 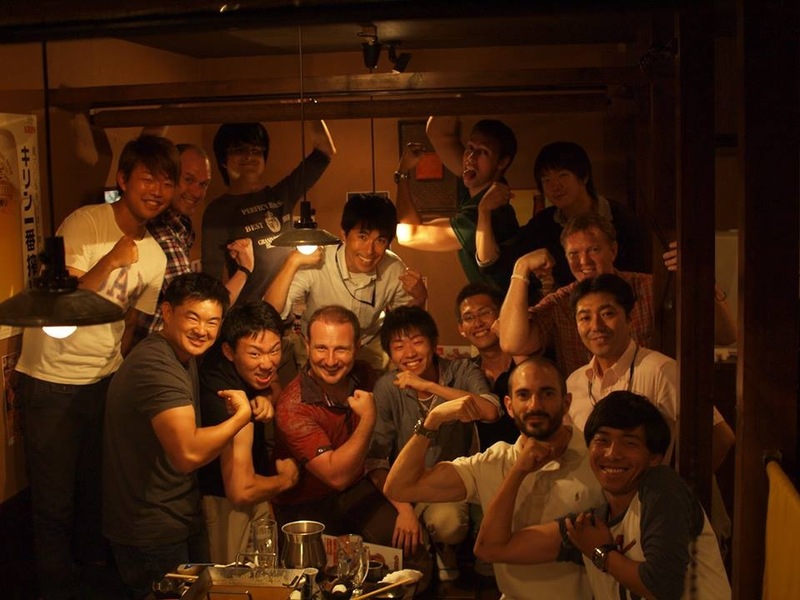 Still, the person I've known to have the most fun at Japanese drinking parties never sipped a single drop of booze. He was the life of the party simply because he owned the fact that his drink of choice wasn't beer, but Calpis. He would do the toasts, chug his Calpis, wear the tie on his head, and lead the "Guts Pose" photos (see below) all the same. Nothing says you have to be drunk to enjoy a nomikai, and that's the most important thing! ...the keys to enjoying Japanese drinking culture without having to drink. It really is one of the most fun aspects of Japan, so I say zehi, grab an Asahi Dry Zero and say Kampai!